Behind the kings of rock and roll stand the workers who make up the boredom and blarney, the fervour and humbug of pop. They are usually dwarfed by it all, and looking back it is surprising how much enjoyable music they have given us. 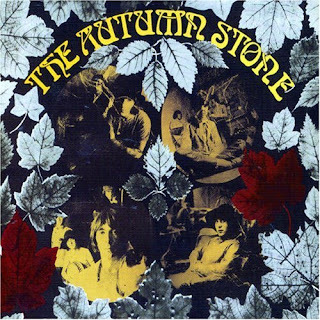 The Small Faces are part of this crowd—they broke up in 1969 after three years of English hits and the most indifferent sort of success in America—and Amamn Stone is a final English "Best of" two for the price of one double album, easily available here in the many shops that carry imports. It is very enjoyable indeed. The Small Faces started as a controllable Who, a hasty group of four mods emerging from the mod movement of 1965. They looked set for a brief, derivative career under an exploitive manager in the time-honored British pop tradition—but they were real mods. They had their own ideas and the song-writing and instrumental abilities to pursue them. They remained derivative, they jumped on every bandwagon, they never did anything startlingly original, but the style of their imitations wasn't show - biz - there's - money - to - be - made - in - this, but London - mod - hey - man - that's - cool. They had a naive eagerness to try everything without understanding anything, and the results had their own appeal. Their drug song, "Itchycoo Park," is ridiculously coy, but it does capture the joy of getting high. Their folk-rock song. "Just Passing," has wretched words but it is nicely innocent; and even their most arty song, "The Autumn Stone," is saved by its corniness. Whatever they tried to do, in the end their real strength came through. Their songs are all high-powered dance tunes straight from the mod discotheques. This is a very English record. The Small Faces didn't look very far for their influences. Steve Marriot, their lead singer, has a very powerful voice (one of the great sights of English rock and roll used to be tiny, neat Steve Marriot opening his mouth slightly and screaming like a dervish) but he had no idea what to do with it and so turned to Steve Winwood for inspiration. It's obvious as well that the band never gave up trying to catch the Who. In the end, one can pick out all the elements of the British pop scene 1965 1968, from Herman's Hermits to Geno Washington. The Small Faces never really made it. They lacked an evil genius like Andrew Loog Oldham to discipline and mold their obvious talent for his own ends (the beautiful, soaring chorus of "Afterglow of Your Love" makes one wish a Phil Spector had got hold of Marriot's voice and given it real power). By themselves the only place the Small Faces could decide to go was after everyone else and they never caught up. But their pursuit was always innocent and enthusiastic, very happy and defiantly infectious—the essence of good rock and roll. Copyright Katerinas Magic World © 2010. Thanks to Popular Tattoos for permit and regard to Photography Workshop.